A macular hole is a small, circular gap which opens up at the centre of the retina. This causes blurred vision and often distorted vision where straight lines or letters look wavy or bowed. There may also be a patch of missing vision at the centre. If the hole has been present for less than a year, the operation will be successful in closing the hole in about 90% of cases. Of these, more than 70% will be able to see two or three lines more down a standard vision chart, compared to before the operation. Even if this degree of improvement does not occur, the vision is at least stabilized and many patients find that they have less distortion. In a minority of patients the hole does not close despite surgery and the central vision can continue to deteriorate; however, a second operation can still be successful in closing the hole. It is important to understand that return to completely normal vision is not possible. Macular hole surgery is a form of keyhole surgery performed under a microscope, using 3 small incisions (1-2 mm in size) in the white of the eye for insertion of very fine instruments. Firstly the vitreous jelly is removed (vitrectomy), and then a very delicate layer (the inner limiting membrane) is carefully peeled off the surface of the retina around the hole to release the traction forces that keep the hole open. The eye is then filled with a temporary gas bubble, which presses against the hole to help it seal. The bubble of gas blocks the vision whilst it is present, but slowly disappears over a period of about 8 weeks. Macular hole surgery usually takes 45-90 minutes and can be done with the patient awake (local anaesthetic), or asleep (general anaesthetic), often as a day case procedure. Most patients opt for a local anaesthetic, which involves a numbing injection around the eye so that no pain is felt during the operation; this is sometimes supplemented with medication to reduce anxiety (sedation). The aim of face down posturing is to keep the gas bubble in contact with the hole as much as possible to encourage it to close. Whether you are required to posture, and for how long, will depend on the size of the macular hole, and also the preferences of your surgeon. There is evidence that posturing improves the success rate for larger holes, but it may not be needed for smaller holes. If you are asked to do some face down posturing, your head should be positioned so that the tip of your nose points straight down to the ground. This could be done sitting at a table, or lying flat on your stomach on a bed or sofa. You should try to remain in this position for usually 50 minutes in each hour for the duration advised (usually 2-5 days after the operation). A short break of 10-15 minutes can be taken every hour to allow eating, trips to the bathroom etc. Your surgical team will advise on aids that can make face down posturing easier to manage e.g. a horseshoe-shaped pillow or frame. Please remember that if you are not able to posture then there is still a good chance that the hole will close successfully. If face down posturing is not prescribed, you may be simply advised not to lie on your back for a period of two weeks after the surgery, with some surgeons recommending sleeping in a chair or at 45º in bed, supported by pillows for the same period. You must not fly or travel to high altitude on land whilst the gas bubble is still in the eye (up to 12 weeks). If ignored, the bubble will expand at altitude, causing very high pressure resulting in severe pain and permanent loss of vision. In addition, if you need a general anaesthetic whilst gas is in your eye, then it is vital that you tell the anaesthetist this fact so they can avoid certain anaesthetic agents which can cause similar expansion of the bubble. None of these exclusions apply once the gas has fully absorbed. You will notice the bubble shrinking and will be aware when it has completely gone. 1. Failure of the macular hole to close: this occurs in 1-2 out of 10 patients. In most circumstances, it is possible to repeat the surgery. If the hole fails to close, then the vision may be a little worse than prior to the surgery. 2. Cataract: this means that the natural lens in eye has gone cloudy. If you have not already had a cataract operation, you will almost certainly get a cataract after the surgery, usually within a year but it can happen very rapidly. 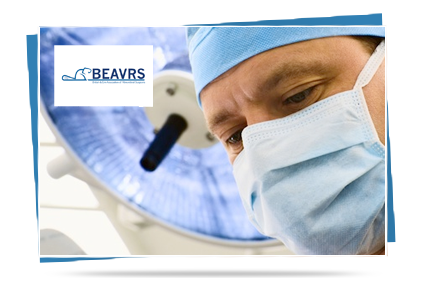 As cataract is inevitable, you may be offered combined surgery with cataract extraction at the same time as the macular hole repair. 3. Retinal detachment: the retina detaches from the back of the eye in 1-2% of patients undergoing macular hole surgery. The vast majority of retinal detachments are repairable, but further surgery is required and this can be a potentially blinding complication. 4. Bleeding: this occurs very rarely, but severe bleeding within the eye can result in blindness. 5. Infection: this is also very rare and would be expected to occur in about 1 in 1000 patients, but if it occurs needs further treatments and can lead to blindness. 6. Raised eye pressure: an increase in pressure within the eye is quite common in the days after macular hole surgery, usually due to the expanding gas bubble. In most cases it is short-lived and controlled with extra eye drops and/or tablets to reduce the pressure, preventing any harm coming to the eye. If the high pressure is extreme or becomes prolonged, there may be some damage to the optic nerve as a consequence. In the majority, this damage does not adversely affect the vision, but some patients require long term treatment to keep the eye pressure controlled. Most people will need to change their spectacle prescription at some point after surgery. This would normally be at about 3 months following the operation, after the gas bubble has gone. As each case is different, please check with your surgeon before visiting an optician.